Queens’ own Bas returns with a perfect summertime bopper. The Dreamville signee is currently gearing up for a short European Tour later this month, but that didn’t stop him from dropping off a fresh track for us to enjoy in the meantime. 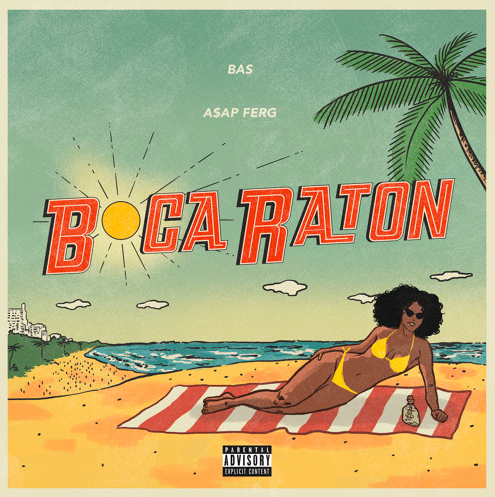 Bas enlists the help from A$AP Ferg, on Boca Raton who stops through with a textbook Ferg verse- one of my favorite verses from Ferg in a while, he absolutely kills it. According to Bas’ twitter, he’ll be blessing us with *insert milk emoji* all summer long. This a great sign, so be expecting more releases from Bas throughout the summer. Perhaps it’s finally time for Bas to bless us with a follow up to his 2016 masterpiece To High To Riot? Only time will tell.